Twin Ridge Kennel has been showing and raising Australian Shepherds for years. We raise both Miniature and Toy Aussies. Please visit our website to view our beautiful dogs. Raising puppies with lots of TLC so they can become your next Champion Companion. 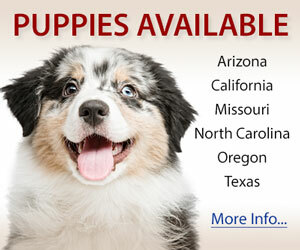 We are a small breeder raising quality Miniature Australian Shepherds. Quality comes first with all our dogs and puppies. The goal for our puppies is to have wonderful temperament, correct conformation. We love all our dogs and they are treated as our family. Phone calls and questions are always welcome. Only one or two litters a year.Trying to raise great quality mini australian shepherd with great conformation and disposition. I have been raising and loving Aussies since 1992 when I got my first Australian Shepherd - added Mini's in 1997 and haven't looked back. My dogs are farm raised and are socialized with horses, kids and other dogs. This is my hobby so I don't have litters all the time, but I do stud out my males to approved females only. 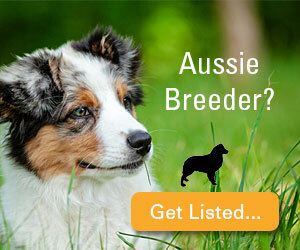 Here at Trinity Kennel we raise and show ASDR Registered Mini and Toy Australian Shepherds. Our Primary Goal is to achieve the best in Quality, Conformation and Temperament. Our dogs are bred with Loving care and selective pedigrees.